Consultant Hypnotherapist : specialising in trauma, abuse and anxiety, working with clients suffering from stress and anxiety, food intolerances, chronic illness and many other symptoms. NB – Since 2016 my clients have increasingly been located all over the UK, USA, Canada, India, Australia, Asia and all over Europe, moving the majority of my work from seeing clients in person at my practice, to seeing clients online via Skype, Facetime or Facebook video. Video calling is just as effective as face to face sessions. I offer both face to face and online sessions. 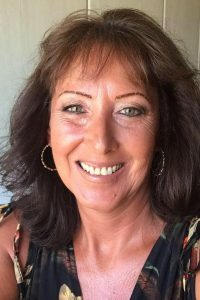 Julie Poole developed her Hypnotherapy practice in 2002 and has worked with over 2000 clients since, helping them to make the changes they seek. YOU CAN FIND FREE SELF-HELP VIDEOS ON MY YOUTUBE SELF DEVELOPMENT CHANNEL. Just click the ‘YouTube’ icon on the left to go to my channel. TO BOOK A SESSION PLEASE GO TO MY ‘BOOK HERE‘ PAGE. I have been working with Julie for several months and have found her to be an excellent practitioner. She is extremely eclectic and very easy to get on with. Her knowledge is very diverse and I have been able to make several changes to my life because of my work with her. She is extremely responsive, always professional whilst remaining very amiable and putting me at my ease. I cannot recommend her highly enough! Julie was amazing! She helped me change my eating habits and feel in control of my weight loss. I felt very relaxed and comfortable through out my treatment – she provides a excellent service. I had suffered with anxiety and panic attacks for over ten years. Having tried everything else I went to Julie hoping she could help. After only 3 sessions, I can honestly say that my panic attacks have gone and I feel a stronger, happier person. Julie is very comforting and makes you feel at ease straight away. My life has been changed for the better and this is down to Julie. I cannot thank her enough, I would recommend anyone suffering like I did to speak to Julie, I am confident she can help you too ! Sign up now to receive your free ‘meditation into inner peace’ audio download!